Zuckerberg told the lawmakers that his own personal data was part of 87 million users' that was "improperly shared" with British political consultancy firm Cambridge Analytica. 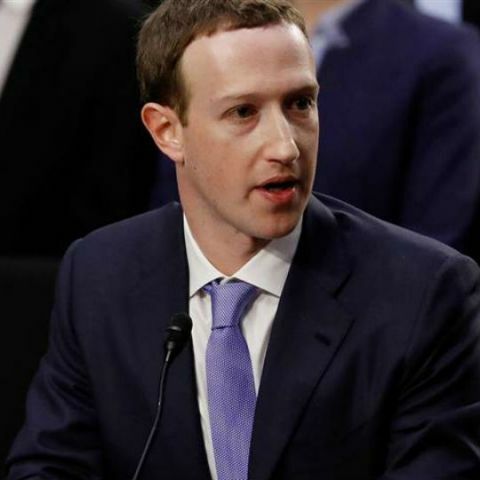 Stressing that there is an online propaganda "arms race" with Russia and it was important to make sure no one interferes in any more elections including in India, Facebook CEO Mark Zuckerberg said on Wednesday that his own personal data was "improperly shared". Appearing before the US House of Representatives Energy and Commerce Committee on Wednesday -- his second testimony before the US Congress in less than 24 hours -- Zuckerberg told the lawmakers that his own personal data was part of 87 million users' that was "improperly shared" with British political consultancy firm Cambridge Analytica. "We don't sell the data. We use the data that people put into the system in order to make them more relevant. I believe people own their content," he told the House panel. Earlier, during the first five-hour marathon session at US Congress late on Tuesday, the Facebook CEO conveyed his concerns about the upcoming elections globally. "The most important thing I care about right now is making sure no one interferes in the various 2018 elections around the world," he told a 44-Senator panel. "As long as there are people sitting in Russia whose job it is to try and interfere with elections around the world, this is going to be an ongoing conflict," the 33-year-old billionaire said as he prepared to testify again, this time before a House panel. Facebook on Monday said: "Our goals are to understand Facebook's impact on upcoming elections -- like Brazil, India, Mexico and the US midterms -- and to inform our future product and policy decisions." The company's stock was up about 2 per cent even before Zuckerberg sat down. It moved even higher when he started addressing the questions from lawmakers and finished the day with a 4.5 per cent gain. It added $21.3 billion to Facebook's market value and $3 billion to Zuckerberg's personal net worth, Fortune reported. In his opening remarks at US Congress, he said: "Facebook is an idealistic and optimistic company. For most of our existence, we focused on all of the good that connecting people can do. "But it's clear now that we didn't do enough to prevent these tools from being used as harm as well. "That goes for fake news, for interference in elections and we didn't take a broad enough view of our responsibility and that was a big mistake and it was my mistake and I'm sorry," the Facebook CEO said. With 44 Senators asking questions, and just five minutes of time allotted for each, there was limited potential for follow-up questions to and grilling of the CEO during the testimony at Congress. "It's not enough to just connect people. We have to make sure those connections are positive. It's not enough to give people a voice. We have to make sure people aren't using it to harm people or spread disinformation," Zuckerberg told the Senators. "What we know now is that Cambridge Analytica improperly accessed information by buying it. When we first contacted Cambridge Analytica, they told us they had deleted the data," Zuckerberg said. He said the company made big changes in the platform in 2014 that have prevented this specific situation with Cambridge Analytica from occurring again. Zuckerberg confirmed that his company was cooperating with special counsel Robert Mueller in his investigation into Russia's meddling in the 2016 US Presidential election. Asked by Democratic Senator Patrick Leahy while he testified on Capitol Hill whether Facebook had been served subpoenas for the special counsel, Zuckerberg responded "yes," but later clarified: "I am actually not aware of a subpoena. I'm aware that there may be, but we are working with them." Asked if his employees had been interviewed, he again responded yes but added: "I have not," CNN reported. He continued: "I want to be careful here because our work with the special counsel is confidential and I want to make sure that in an open session I'm not revealing something that is confidential." Senator John Thune, a Republican from South Dakota, asked Zuckerberg if he is willing to make a commitment to protect political speech from "all different corners". Zuckerberg agreed: "If there's an imminent threat of harm, we're going to take a conservative position on that and make sure that we flag that and understand that more broadly. "I don't want anyone at our company to make any decisions based on the political ideology of the content." On a question if Facebook has a political bias, he said the platform's goal was not to engage in political speech. Zuckerberg said he understands the concerns, especially because "Facebook and tech industry is located in Silicon Valley, which is an extremely Left-leaning place". But he said he tries to make sure Facebook does not have any bias in the work that it does.